TGDA was honored to be invited to serve on the advisory committee for the new Chicago Sustainable Development Policy. We applaud the City, and the Department of Planning and Development for continuing its leadership on sustainable municipal policy. TGDA served as advisory committee member for over 10 months, assisting the City and other committee members with drafting and vetting of the point system and handbook for this pilot year. We are proud to play a role in supporting the City of Chicago as a global leader in green development and are encouraged by the City’s commitment to sustainable project performance and the benefits it provides to our City and its communities. 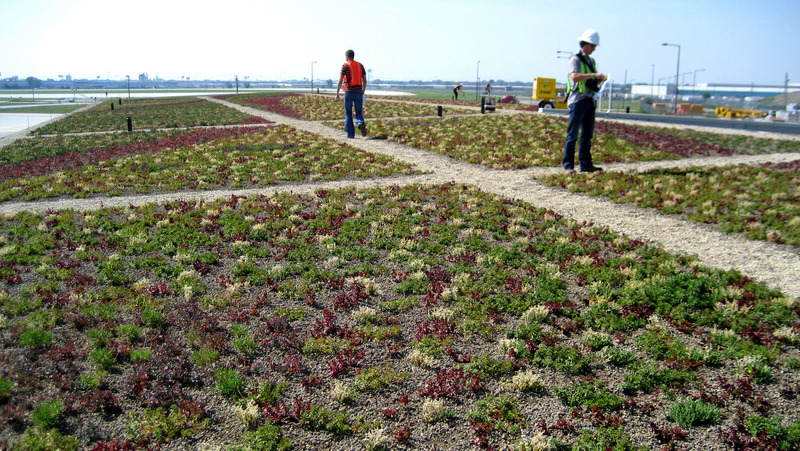 The image above is one of the first green roof projects in the City at O’Hare International airport designed by TGDA.